The Search is Over… Meet the Winner! The Search is over meet the winner! Little Elle is a special little girl who brought joy to her parents all dressed in her Will’beth Christmas best!! 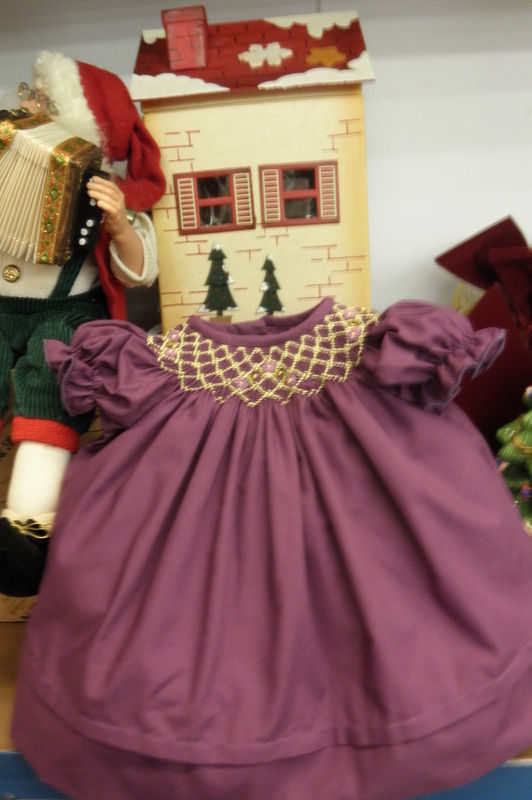 Her mommy Hope says ” This was the dress that made us fall in love with Will’beth”. She looks like a precious doll in her red and white gingham pinafore dress from Will’beth! Lots of people came together to help her win! Thank you to all of them for loving “Elle”. Will’beth Retailer “Connie’s Kids Children’s Boutique in Chesapeake Va. was inspired by Elle’s story and shared it with all her friends! Thank you to all those who participated. All the contestants were absolutely beautiful and they all inspire us each day to keep creating keepsakes for generations to come! The time is here! The time to bundle up and spend quality time with friends and family. The gifts that we give with a happy heart are the ones that will last a lifetime. A great gift is one that continues on giving… when you receive a favor and pass it on to the next person… those are the wonderful things that last a lifetime! Share bake goods… that is the gift that keeps on giving…. Something small can make a world of difference!